Dermatological and cosmetic formulations contain fragrance, fats and oils, which are all subject to auto-oxidation by exposure to air, causing off odor and chemical degradation. 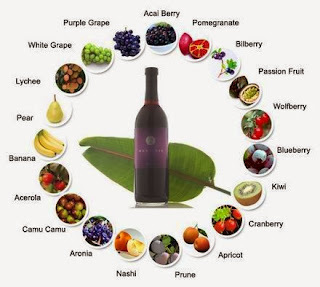 Addition of antioxidants can be used to preserve the formulations and increase the shelf life. Antioxidants can be lipid-soluble, water-soluble or both. Antioxidants neutralize free radicals, which are produced by sunlight, street air, auto pollution and other environmental factors, especially industrial sources. Antioxidant based products are just as important as sunscreen-containing products in battling aging and skin cancer. They create a barrier on the skin to protect from the environmental and ultraviolet infrared rays. Free radicals are the normal byproduct when cells are burning glucose to create the energy, adenosine triphosphate (ATP), for the body. Free radicals cause damage because they are missing an electron. The loss of the electron makes the atom or molecule electrically unstable. To regain stability, free radicals tend to steal electrons from the surrounding substances in a chain reaction that continues until stopped by an antioxidant. This process is called free-radical oxidation chain reaction. Free radical oxidation is the basis of the aging process because it causes permanent deterioration of the skin cells’ support structure by decreasing elasticity and resiliency. The human body has its own natural mechanism of protection from free radical induced damage. This protective capacity diminishes with age and time of exposure where the magnitude of free radicals formed overtakes the body’s natural ability to neutralize them. Antioxidants in skin care products are capable of penetrating into the deepest layer of the skin. Antioxidants enable living cells to repair and renew. The end result is skin that looks and feels younger.